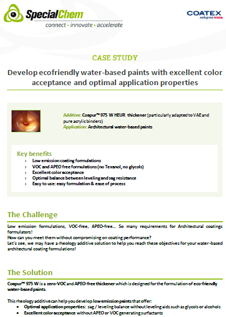 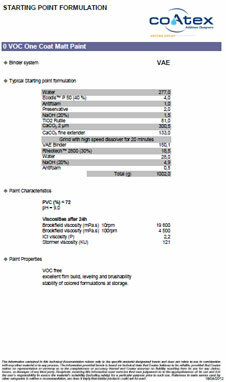 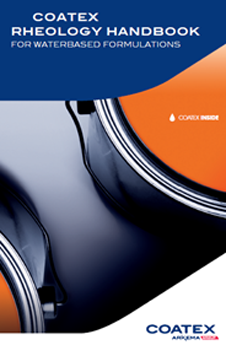 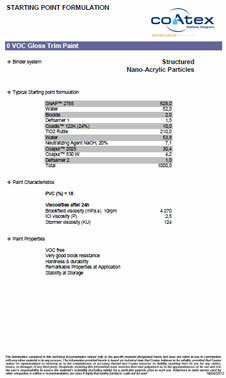 Coapur™ 3025 by Coatex is a non-ionic water soluble polyurethane. 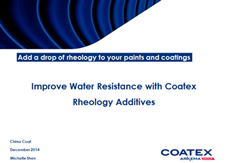 It is an associative and solvent free rheology modifier. 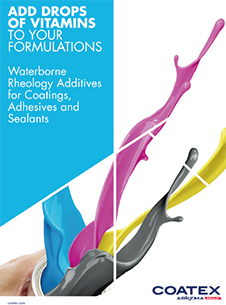 Provides a pure Newtonian rheology to water-borne systems. 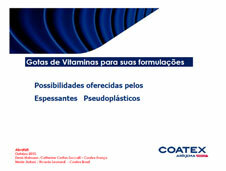 COAPUR™ 3025 allows to adjust selectively high shear viscosities and thus ensures excellent film build, spatter resistance and levelling together with low dosage and flexibility of use. 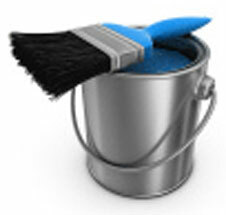 Also provides improved gloss level. 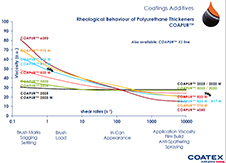 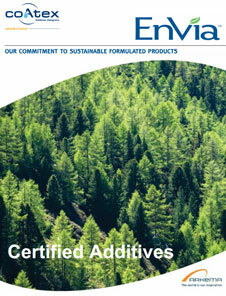 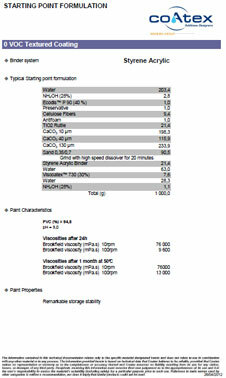 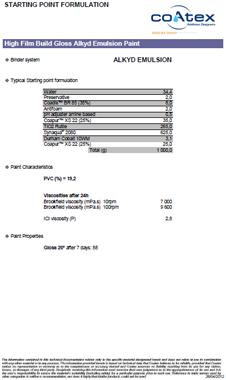 COAPUR™ 3025 can be used in combination with low shear effective thickeners (e.g. 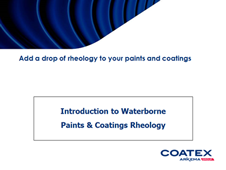 THIXOL™ 53 L, RHEOTECH™ 2800, COAPUR™ 6050) in flat, sheen and semi gloss dispersion paints or as sole product in formulations such as gloss dispersion or water-soluble alkyd paints. 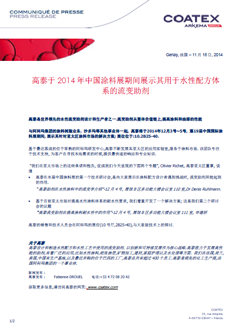 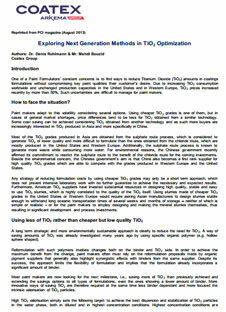 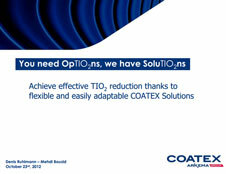 Very good results are achieved with COAPUR™ 3025 / THIXOL™ 53 L combinations, e.g. 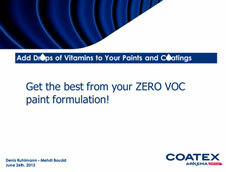 in VOC-free, high levelling and one-coat flat dispersion paints or in water based woodstain formulations.